Traditional wear and kids are not the best combination in terms of shopping, we understand. Fret no more. Jellybeans is your knight in shining armour. Tired of cracking your head about what should your tiny tot wear at the upcoming wedding or the next festival? Let us ease the decision making for you. Jellybeans by Geetika and Ridhi is a clothing brand, specially designed to cater to your little one's traditional wardrobe requirement. 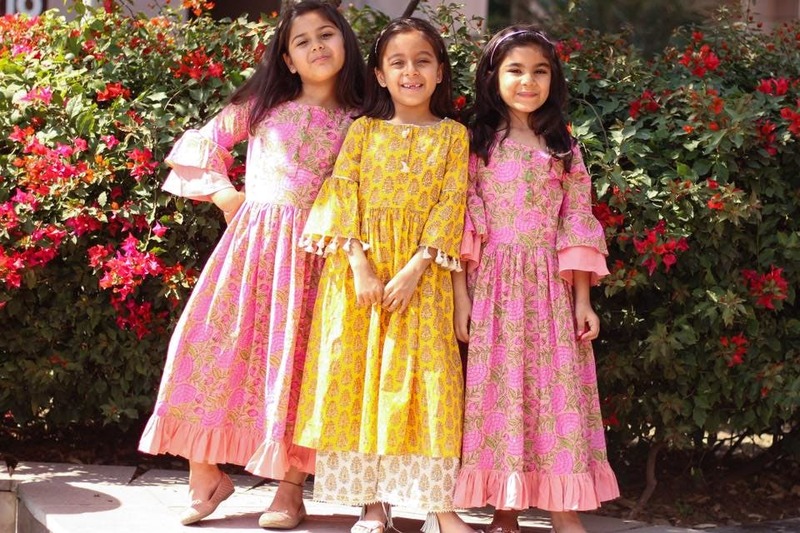 They have some super chic designs - pretty anarkalis and smart kurta-palazzos are already on their A-game, but they also keep super cute prints in kurta-pajamas for the boys. That's not even where it ends, btw. They also do nightwear for your babies and quilts too. They have a Facebook and Instagram page that serves as their catalogue. You can look through their pictures and place your orders. Pastels and vibrant colors, adorb prints and they start at just INR 900. Snap these up for the next wedding in your family! It would be great if they didn't put make up on the kiddos who pose in the clothes on their social media pages! They have a discount period going on, right now. So you might want to go check them out and place your orders, asap.